5/26/2009 - Due to customer and other user feedback, HSS has recently updated the patient dosage handout, to make it easier to read and interpret for the patient. This form should be printed and handed to the patient (or faxed or mailed), so they have the updated information about their dosage amounts, and their next visit date. 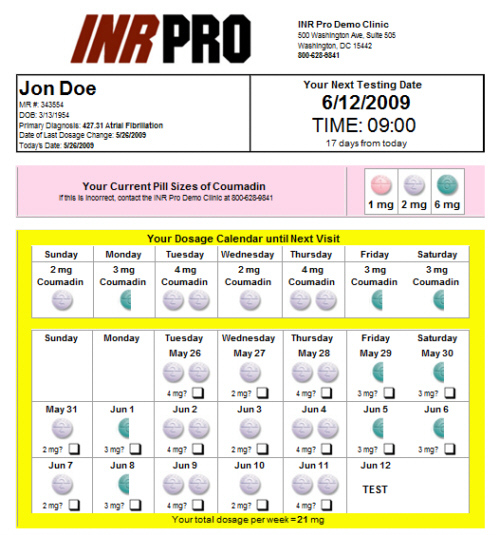 Using adult learning techniques (large print, pictures, colors, lots of white space, etc), we feel we have minimized confusion for the patient, and made sure that the clinician is providing the right nike skor billigt combination of dosages that match the patients pill sizes. 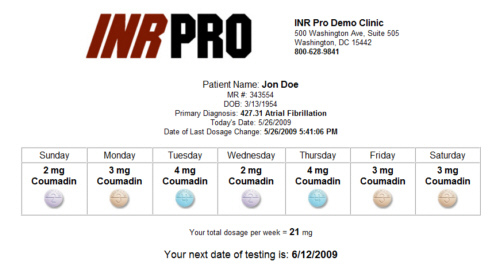 Within INR Pro, you can define exactly which pill sizes are available to the patient (sizes they have at home), and save them in each patient's settings. When you select the dosage amount per day, our system will attempt to calculate the correct combination of the pills, based upon what is available. Here is an example of how our report has changed. Here is the old report, simple but not as good. 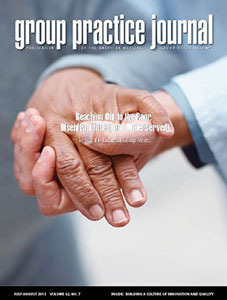 Here is the new report, just released at the end of May 2009. 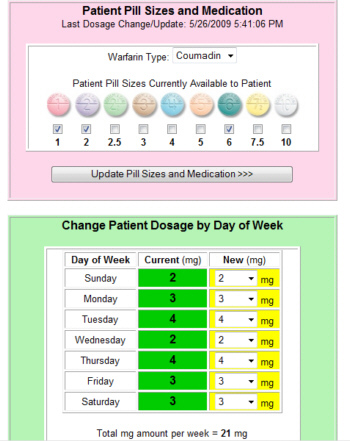 As you can see, it is much clearer, and shows the actual dosage by day on the calendar, to reduce medication dosing errors. We have nike air max 90 rea also integrated half-sizes, so if a patient has a dosage of 3 mg, but only has a 6 mg tablet, our system will display half of a 6 mg pill. If they have a dosage of 5 mg, but only a 2.5 mg tablet, then our system will display two 2.5 mg tablets. If the wrong combination of pills and dosage is selected, a question mark will appear instead of a tablet, which means that a change in pills or a change in dosage is required within the system to correct the error. HSS continually takes feedback from our customers and/or evaluators, and updates nike air max herr rea and enhances our system to make it the best on the market. If you have an idea for a change to our system, feel free to let us know.